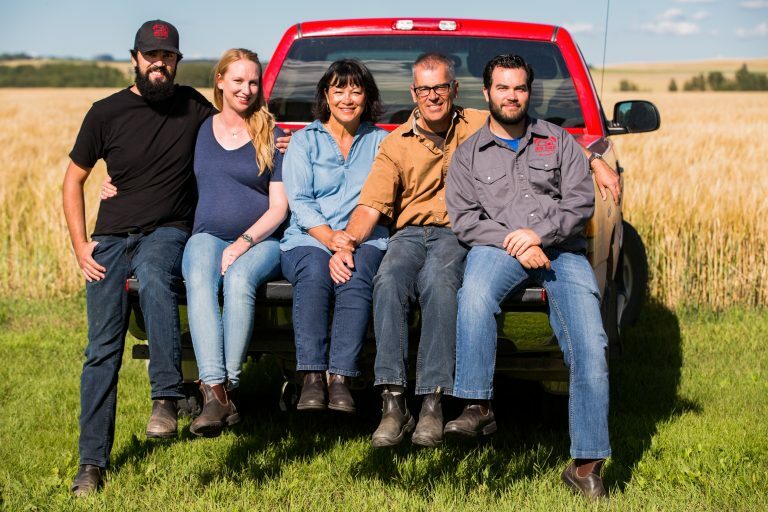 The Hamill family (from left to right): John, barley production; Susie, office administrator; Matt, maltster and sales; Daeyln, barley and malt analysis/marketing; and Joe, malting operations. It was around the same table that a new idea began to grow. “The family was sitting around having a beer that Joe had home-brewed, and we thought it would be a great idea if we could try to take some of the barley from our own fields and malt it so he could use it in his beer,” said John. Now, nearly two years later, a lot has changed. What started as an interest in locally produced and malted barley, for John’s son, Joe Hamill’s hobby home-brewed beer, has since become the Hamill’s newest family business—Red Shed Malting Ltd. This makes Red Shed a unique member of Alberta’s beer industry. Traditionally, the specialty malts used in Canadian beer are imported from Europe or from the U.S.—even for the beers made in Alberta, the barley mecca of Canada. “Along with Hobo Malt, we were one of the first guys in Alberta to be doing specialty malts on this scale,” Matt said. “Everything happens here. 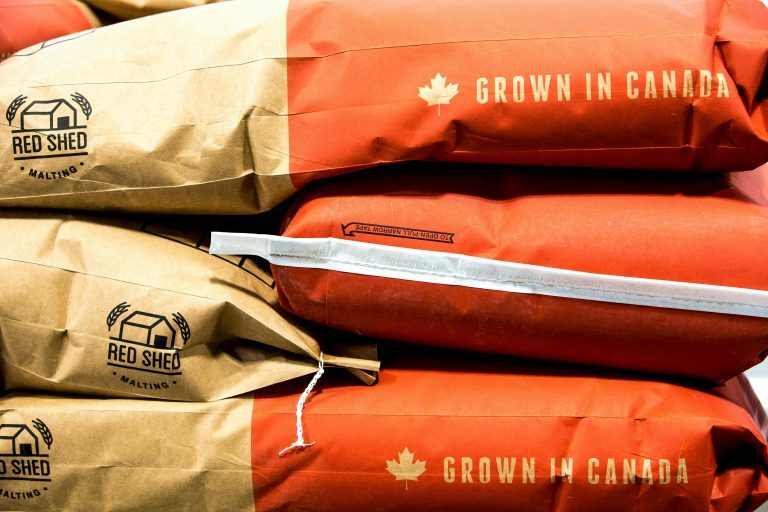 So, [the barley] is grown in our backyard, malted in our malt house and then shipped to the brewers, which are usually within a few hundred kilometres.” Red Shed’s business practices have made their malt sustainable and traceable too. In fact, the Hamills can track a batch of their malt to where it was grown—down to the exact quarter section of land. 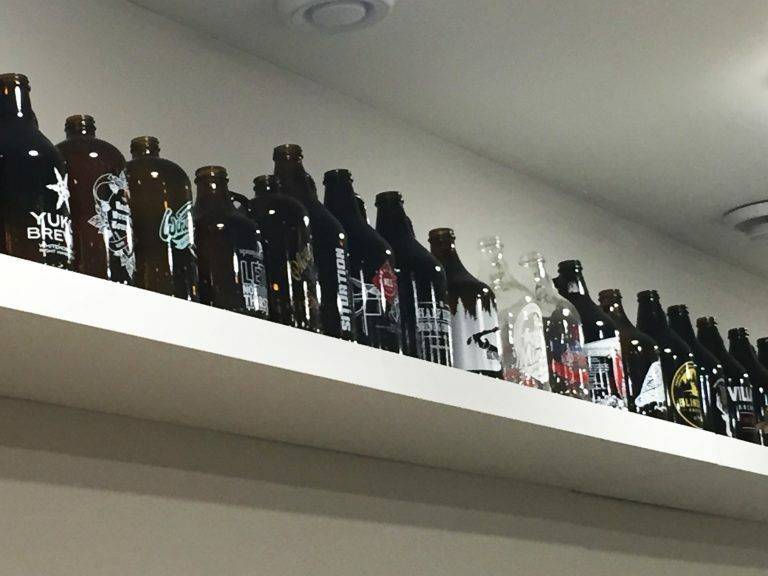 Though Red Shed is a micro malt house, the reaction from Alberta’s craft beer industry has been huge. 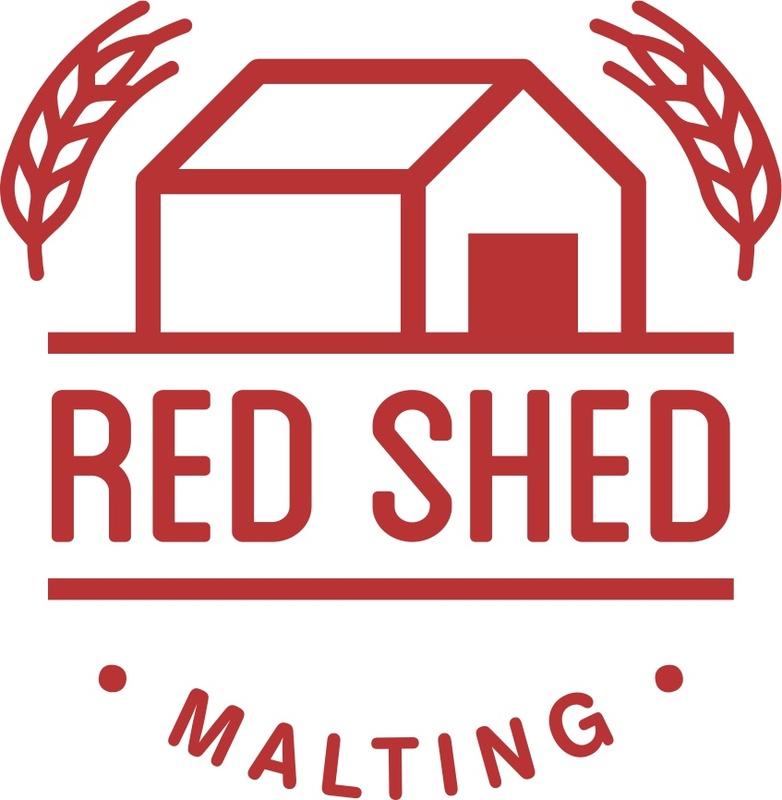 In less than a year since becoming fully operational, Red Shed now supplies specialty malt to a growing number of local craft breweries: Hell’s Basement in Medicine Hat, Alley Kat and Situation out of Edmonton, and Village and Boiling Oar from Calgary, just to name a few. Looking back, it was a big investment and 18 months of researching, sourcing equipment, and building the malt plant to get Red Shed to this point. “It is really nice to be past all of the purchasing of equipment, putting it into position and getting it all ready to go and stuff,” said John. “That was a lot of work and stress and fear.” Now that Red Shed is fully operational, Matt said he is excited for the opportunities that lay ahead. “We know there is still a tonne of work ahead,” Matt continued. “To keep up with all of the new breweries that are starting up.” 745 barley acres, four generations of Hamill farmers and a new family-run malt house — a lot can happen in 86 years.